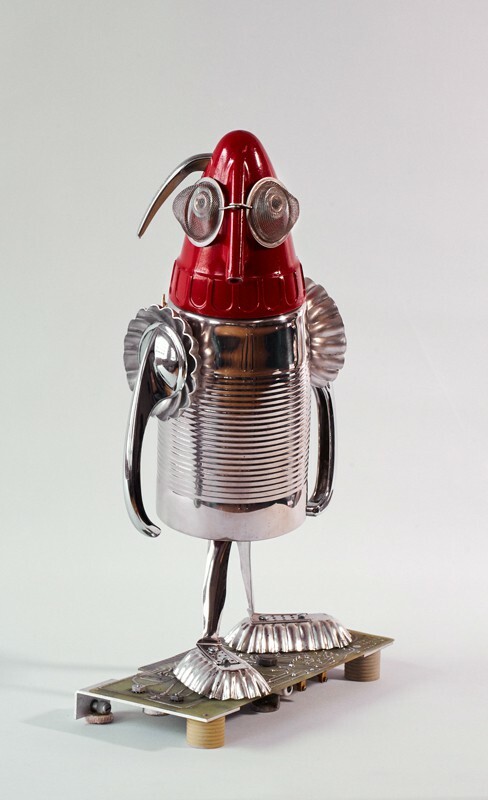 Home » #logosedizioni » art » ASSEMBLARE! 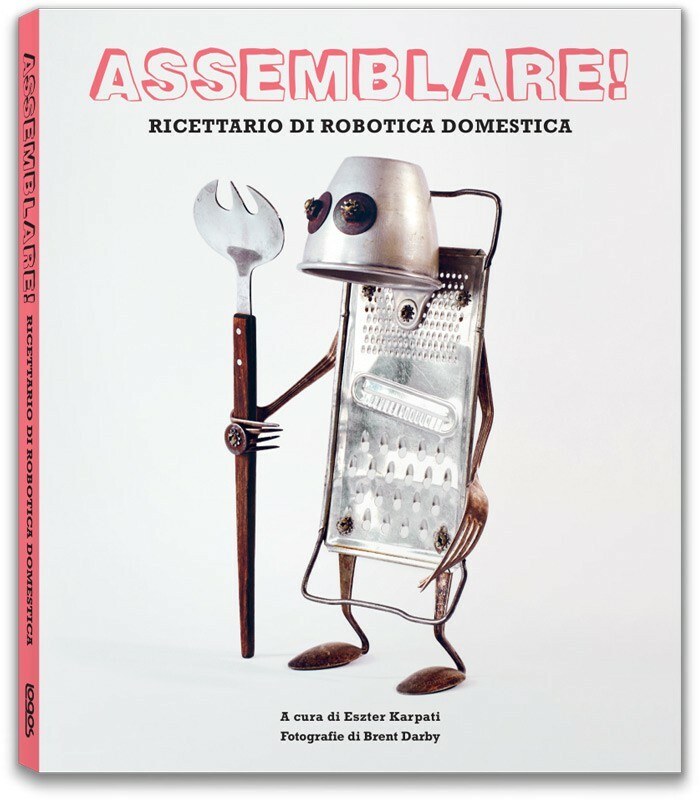 Did you know that you can transform a cheese grater, a few bits of old cutlery and a handful of nuts and bolts into a household robot brimming with character in no time? 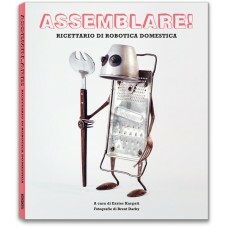 Presented like a recipe book, through 23 quirky “robot recipes” Assemblare! 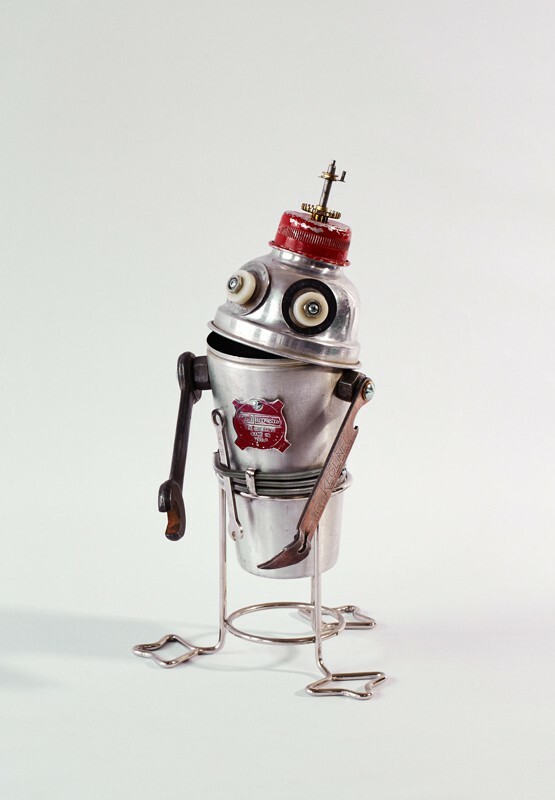 will inspire you to make your own bots from random flea market finds and some unwanted junk. If you love hunting for hidden and apparently valueless treasures in the flea markets and second-hand stores, in these pages you will find the inspiration to unleash your creativity, recycling in an entertaining way all the eccentric objects collected through time. 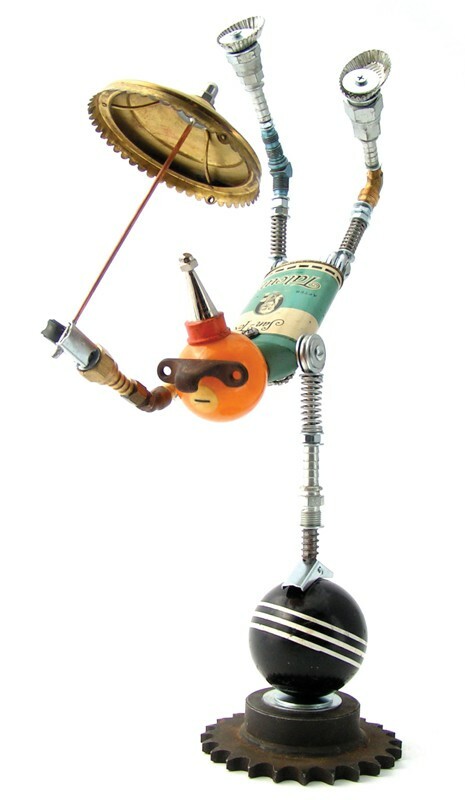 Who would have imagined that small pieces designed for different functions could come together to create a robot? Eszter Karpati gathers together in this volume 18 projects, characterised by the original style and vision of the artists, that will make you smile with their sense of humour and personality. Beautifully styled and photographed, each robot is shown both assembled and fully deconstructed to reveal every “ingredient” used in their unique creation. Eszter Karpati, currently living in London, studied Art history at Camberwell College of Art, and Design history at Royal Collage of Art. Her creations realised with the collage technique. 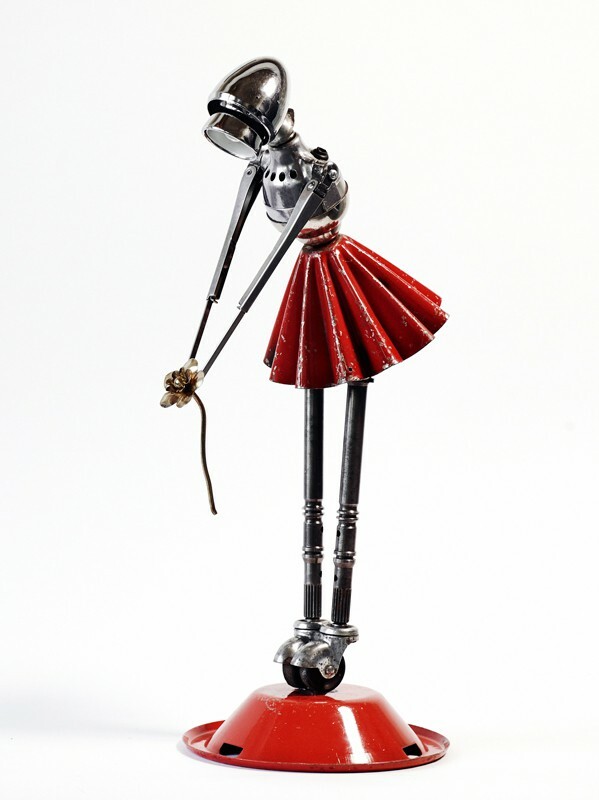 She combines her artistic career with her job as an editor for Thames & Hudson, Taschen and Booth-Clibborn Editions.